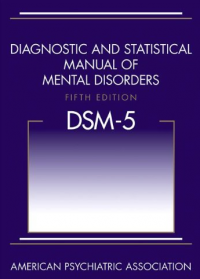 The Diagnostic and Statistical Manual of Mental Disorders (DSM) is receiving a dramatic increase of attention since the new version (i.e., the DSM-5) became available. This discussion is important given the DSM-5 is not just another book; it is a book that impacts daily the lives of millions of people who are struggling with emotional difficulties. Yet, these conversations are not easy and it is important for us to explore why this is. Lisa Cosgrove has been a leading voice in bringing to light concerns about the DSM-IV, DSM-IV TR, and DSM-5. In a 2010 article, Cosgrove, drawing upon previous research, demonstrates how the DSM has displayed a growing conflict of interest. For instance, she documents a dramatic increase in the number of individuals on DSM panels with direct financial ties to the pharmaceutical industry from the DSM-III to the DSM-5. These concerns have led to increasing criticism from individuals within the mental health professions. The Society for Humanistic Psychology (SHP) has been very influential in building a coalition of professionals and professional organizations voicing concerns about the DSM-5. In particular, Sarah Kamens was the primary author of an important open letter to the DSM-5 Task Force raising concerns about proposed changes. Under the leadership of Dave Elkins, Brent Robbins, Donna Rockwell, and others, the letter was converted into a petition that has now received more than 15,000 signatures and has been endorsed by many mental health groups and associations around the world, including the British Psychological Society, 15 divisions of the American Psychological Association, and the Association of Black Psychologists, among others. Despite the strong support for the open letter, the American Psychiatric Association moved forward undeterred. I am very impressed with the leadership of the Society of Humanistic Psychology and proud to have been a board member during the time this occurred. In particular, the leadership of Sarah Kamens, Brent Robbins, Jonathan Raskin, Frank Farley, Donna Rockwell, and others is a beautiful model of advocacy. By avoiding the extremes and remaining open to dialogue, SHP has been able to build a coalition of very diverse mental health groups united in a strong voice. Kirk Schneider (2013) has defined polarization as, “the elevation of one point of view to the utter exclusion of competing points of view” (p. 1). Although similar to extremism, Schneider clarifies that it is distinct in that polarization is not just an extreme view, but one that discounts other perspectives and takes on a more oppositional nature. Extremism, while often dangerous, can represent a healthy position at times. The nature of polarization is more destructive as it represents an extremism that is devoid of critical thought and considerations of different points of view. Although it seems that some would like to characterize the opposition to the DSM-5, particularly the coalition that SHP has spearheaded, as an extremist, radical group, it is evident that this in not the case. This is demonstrated through the ability of SHP to bring together such diverse groups united in a single concern. It seems clear that the motivations to present the SHP coalition as extremists are political and not based in reality. Instead, it is the position of the American Psychiatric Association that really represents a polarized viewpoint. The American Psychiatric Association, after being heavily criticized for the dual relationships and conflict of interest on the panels of the DSM-IV moved to a more extreme position of a higher percentage of panel members representing dual relationships and conflicts of interest. Similarly, the SHP coalition advocated for an outside independent review of the DSM-5 before publication. In the American Psychiatric Association’s response, John Oldham, the president of the American Psychiatric Association states, “There is in fact no outside organization that has the capacity to replicate the range of expertise that the DSM-5 has assembled over the past decade to review diagnostic criteria for mental disorders.” This is an extremely bold and narcissistic statement. It is hard to imagine a clearer example of polarization than represented in this statement. If the American Psychiatric Association were truly open to dialogue and confident in the work represented in the DSM-5, they ought to have no hesitation in subjecting their work to outside, independent review. They would be confident that any outside panel would confirm that, while the DSM-5 may not be perfect, it was based solidly upon the best science and scholarship available. This was not the case. Of course, to subject the DSM-5 to such scrutiny, even if it was eventually supported, would be detrimental to the American Psychiatric Association in many ways. This would cost money and delay the significant income anticipated from DSM-5 sales. Furthermore, the American Psychiatric Association had already invested a substantial amount of money in the development of the DSM-5. If it was determined that even a small number of categories needed to be reconsidered, this would be a sizeable expense. Subjecting the DSM-5 to an outside review is a considerable risk and expense, and would likely negatively impact the American Psychiatric Association. Yet, the alternative is to publish a book that significantly influences the lives of millions of vulnerable people with important flaws that could have been prevented. The right choice seems obvious. Based on the information, judge for yourself. Which perspective is reflective of polarization? Of course, it can easily be stated that the position articulated in this article is biased. This would be correct. I have been involved with the critiques of the DSM-5 and part of the coalition for change. Yet, I am confident that if one were to subject this matter to outside, independent review, it would withstand the test and demonstrate that the SHP coalition has maintained a strong, but balanced critique of the DSM-5 and sought out open dialogue and external review while the American Psychiatric Association has remained insular, polarized, and opposed to what would represent a true open and collaborative process. Cosgrove, L. (2010). Diagnosing conflict-of-interest disorder: Big pharma works in subtle but powerful ways inside the pages of the Diagnostic and Statistical Manual of Mental Disorders. Academe, 96(6). Retrieved from http://www.aaup.org/article/diagnosing-conflict-interest-disorder#.Ui6pK….